The future of radio might just reside, at least in part, in these LPFM stations. Marika Partridge has been in radio for most of her career and spoke with Geeks and Beats before joining a panel on the topic at the Future of Music Coalition’s Music Policy Summit in Washington, D.C. recently. After several years in Alaska, she moved to Washington to serve as an engineer and, later, producer of NPR’s All Things Considered. She’s been a driving force behind the creation of Takoma Radio, an LPFM station scheduled to go live early next year in the DC suburbs. 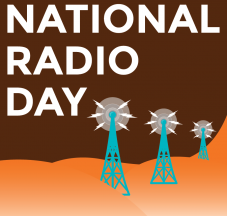 Over the last year, we’ve watched with excitement as the Federal Communications Commission (FCC) has granted new construction permits for over 1500 new low-power FM (LPFM) radio stations across the country. These new stations are claiming space on the public airwaves to better represent the full diversity of American voices, and include stations run by community groups, activists, churches, labor unions, and college students. These stations may only have a range of a few miles, but their impact on their local communities, including musicians, can be immense. Now, some community radio advocates have asked the FCC to allow these stations to expand their reach. 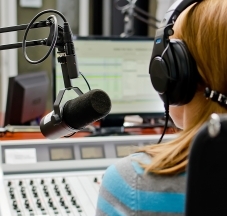 A petition currently under consideration at the Commission would create provisions for LPFM stations that meet certain criteria to broadcast at 250 watts rather than just 100, thus expanding their geographic reach and allowing more listeners the chance to tune in. 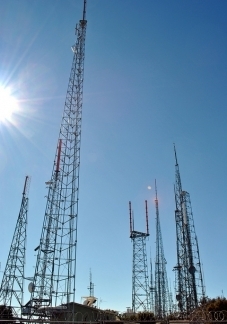 Last week, the Federal Communications Commission (FCC) released a public notice announcing a filing window for applications for new low power FM (LPFM) radio stations. LPFMs are community-based, non-commercial radio stations that operate at 100 watts or less and reach a radius of 3 to 7 miles (check out our LPFM fact sheet for more info). These small but mighty stations are an alternative to broadcasters that seem to play the same five songs on infinite repeat, and provide opportunities for local and niche artists to recieve airplay. LPFMs also offer a wide variety of small, independent organizations — including schools, civic groups, churches, and non-profits — a platform from which to engage with local communities. The new low power application has a few important changes from the past. First, new stations will be permitted in urban areas for the first time ever. As long as an applicant can prove that their station would cause no harmful interference, the FCC will grant a special waiver. This new change will double or triple the number of new stations available, and it’s a major victory for Prometheus and our allies who fought for it. Additionally, the FCC will offer special incentives to stations that provide local programming, and who maintain publicly accessible studios — a focus on community-driven broadcasting that we can really get behind. Big Day for Community Radio! Today, the Federal Communications Commission (FCC) voted to approve rules that will allow the unprecedented expansion of true local radio across the country. Beginning in October 2013, community groups will be able to apply for licenses to operate Low Power FM radio stations, bringing local voices to the airwaves in towns and cities across America.